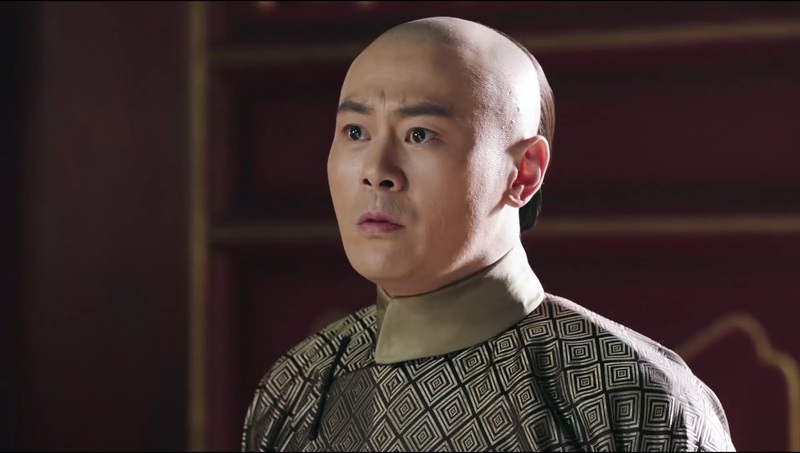 I started watching this year's second big Qing Dynasty drama. Ruyi's Royal Love in the Palace leaves a very different impression from Story of Yanxi Palace, which had chronicled the path of one of Qianlong Emperor's consorts, Consort Ling, from palace seamstress to Imperial Noble Consort. 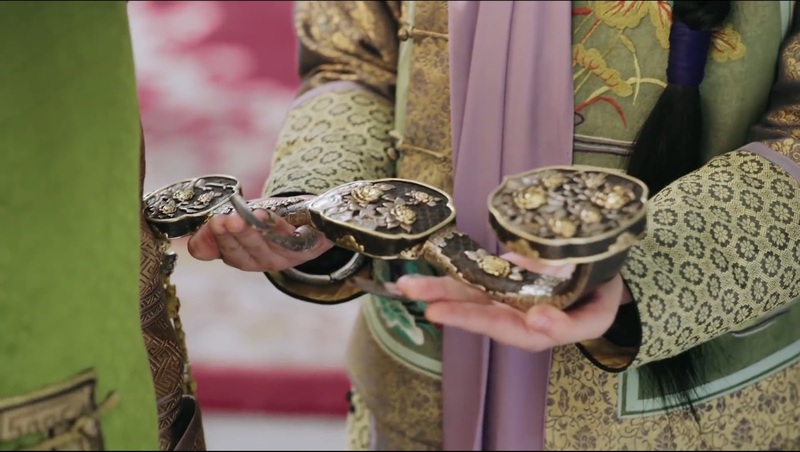 Being the sequel to the story, Ruyi's Royal Love in the Palace is more in the mold of Legend of Zhen Huan, where the focus rests on the women and workings of the Inner Palace, as the Emperor's consorts and concubines strive and scheme against one another to gain favor and rise to the top. 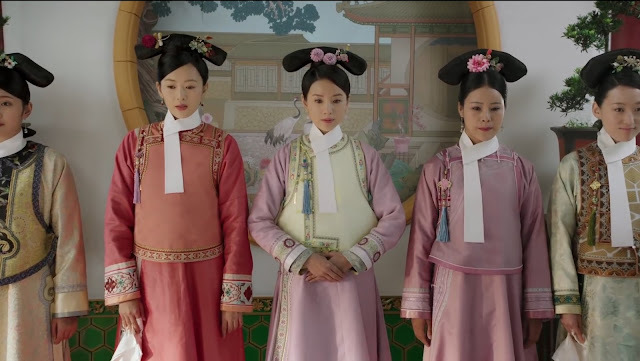 Hopefully, our female lead is able to navigate her way in the Palace well as in this drama, I expect to see plenty of plotting, "good" women turning into villains, and backstabbing. The female leads from the two dramas also could not be more different. 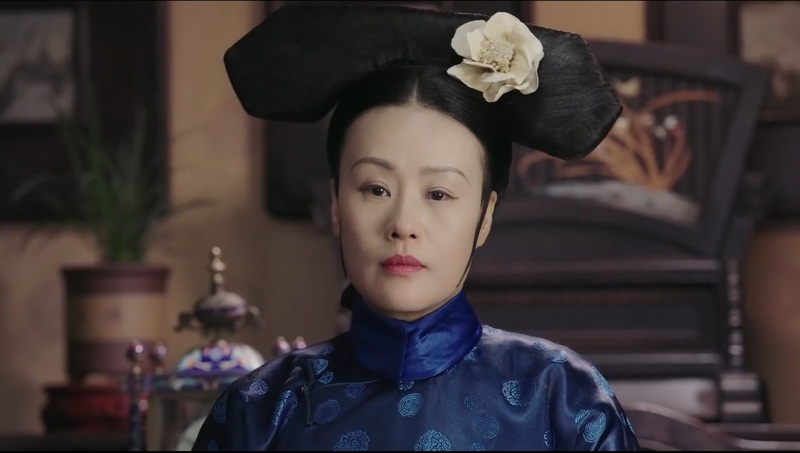 In Story of Yanxi Palace, Consort Ling is from a lower class family. Although she is witty and intelligence, her forthright personality is often considered disrespectful, especially in a place which values propriety and restraint. On the other hand, Ruyi comes from the prominent Ulanara clan, which already has one member as the current Empress. Ruyi is polite, demonstrates strong filial piety, and understands well the rules and protocol of the Inner Palace. When the drama begins, she and the Qianlong Emperor are very much in love, and it will be interesting to see how that relationship evolves. 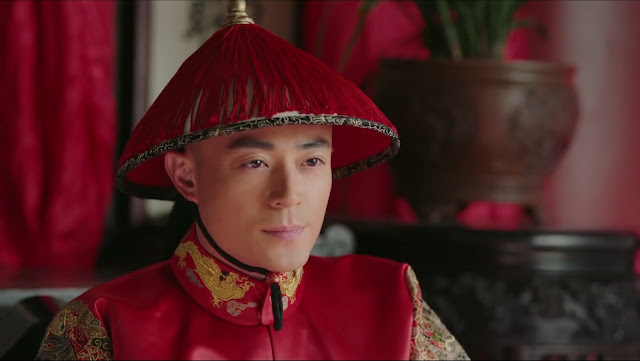 In the first episode, the Qianlong Emperor (Wallace Huo) is still just the fourth son of the Yongzheng Emperor, Fourth Prince Hongli. He has reached the age where he will be choosing the women to become his wives and concubines. 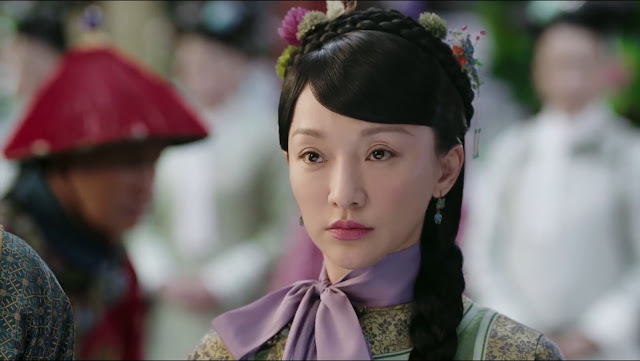 As a royal Prince, his options are the daughters from the most prominent Manchu families in China, but the woman Hongli has feelings for and hopes to make his official wife is Qing Yin (Zhou Xun) of the Ulanara clan, who also happens to be the niece of Yongzheng’s Empress (Joan Chen). The affectionate relationship and feelings between Hongli and Qing Yin go back for years since they’ve known each other since they were children. 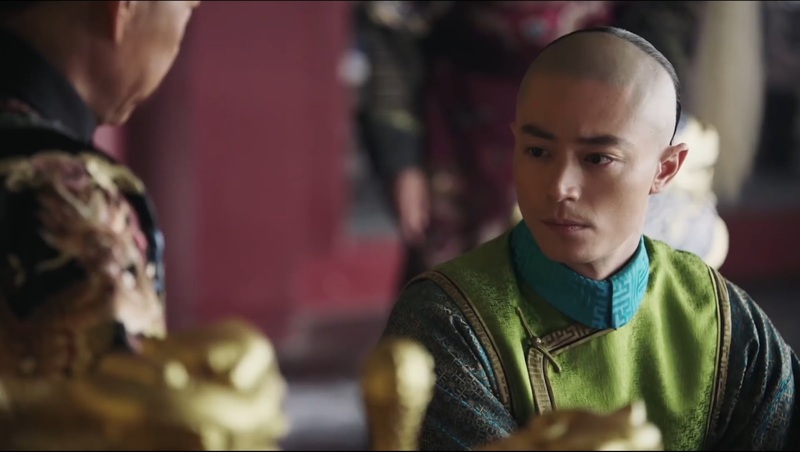 Both Hongli and Qing Yin are thrilled that Hongli’s older brother, Third Prince, hadn’t selected Qing Yin to be his wife, which had gone against everyone’s expectations because the Third Prince is also the adopted son of the Empress, Qing Yin’s aunt. 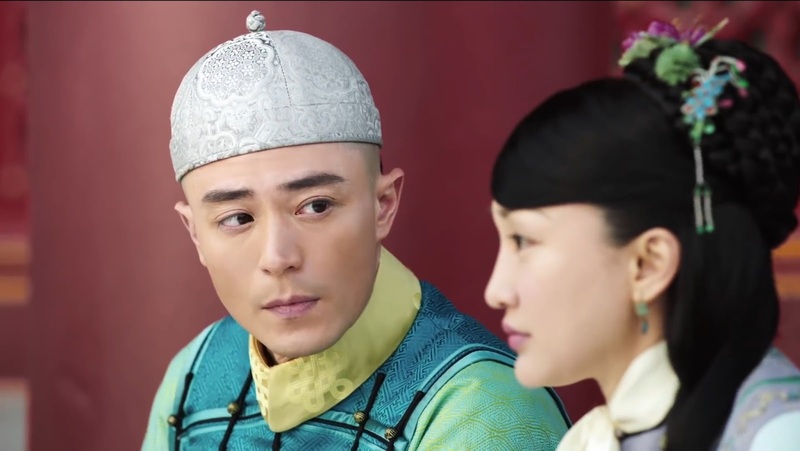 Hongli asks Qing Yin to attend his bride selection event, under the guise of wanting to hear her opinion on the women there. Qing Yin says she’ll think about it. On the day that Hongli selects his wives, it is obvious that his mother, Imperial Consort Xi (Vivian Wu) from the Niohuru clan, favors the daughters of the Fucha and Gao clans, two prominent families who will help her and Hongli solidify their standing and influence, to be her son’s official wife. Lady Fucha (Dong Jie) is especially refined and dignified, and her clan has a powerful standing at court. Imperial Consort Si and Qing Yin’s aunt, both consorts of the Yongzheng Emperor, spent their lives battling in the Palace so Hongli's mother has no desire to see Qing Yin become her daughter in law. 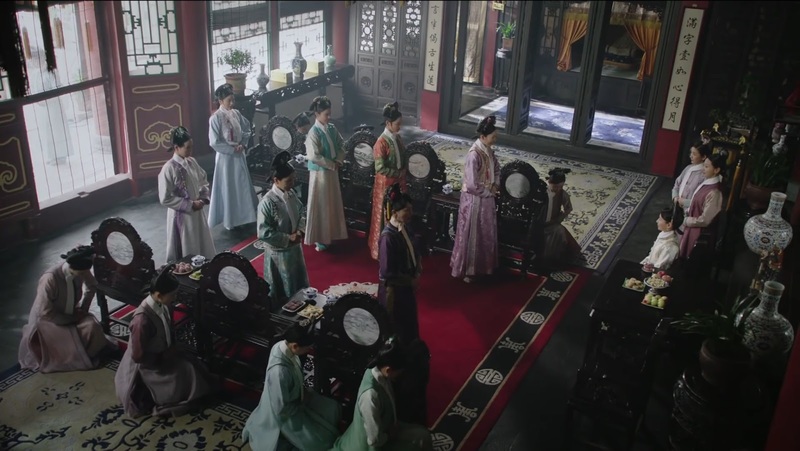 Hongli tries to delay the bride selection until Qing Yin arrives, but eventually has to make his choice. 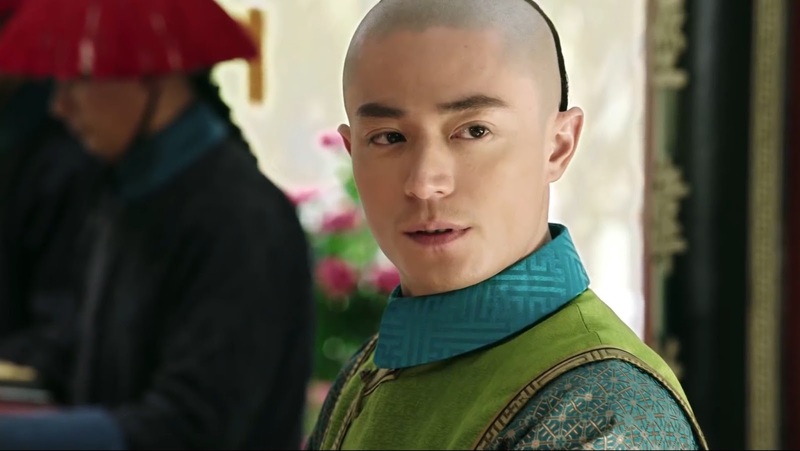 He is about to select Lady Fucha as his official wife, when Qing Yin arrives and makes her entrance. Hongli’s eyes instantly light up when he sees her, which is adorable. 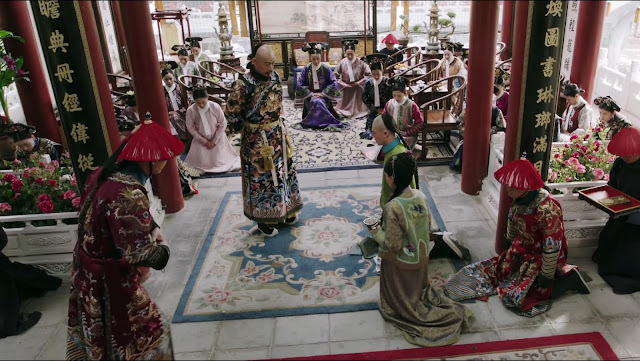 After Qing Yin arrives, Hongli selects her as his official wife by giving her a ruyi (scepter). When he does, she thinks he’s joking at first and tells him to be serious. Realizing that Hongli is being serious, she happily accepts. His decision upsets his mother and disappoints the daughters of the Fucha and Gao families. Unfortunately, at the same time, Yongzheng discovers that the Empress and Third Prince have been working with officials at court to promote Third Prince as Yongzheng’s successor. This is a severe betrayal and breach of protocol. Yongzheng punishes the Empress and Third Prince accordingly. 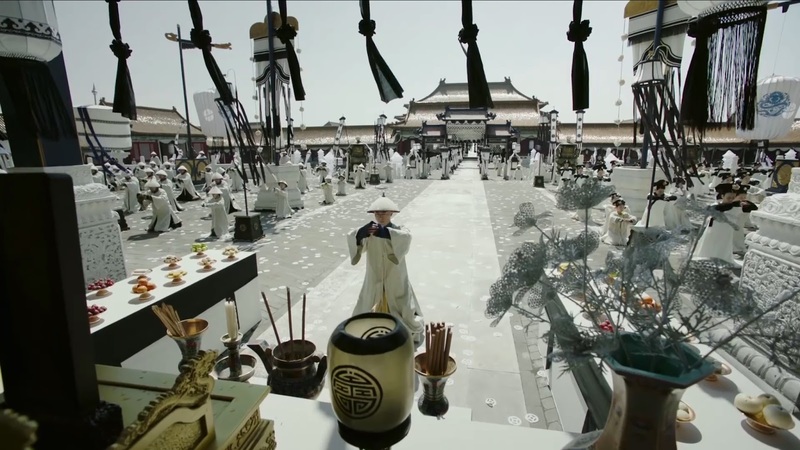 He disowns the Third Prince and expels him from the Aisin Gioro clan while confining the Empress to her palace, Jing Ren Palace. They are never to meet again, in life or in death. 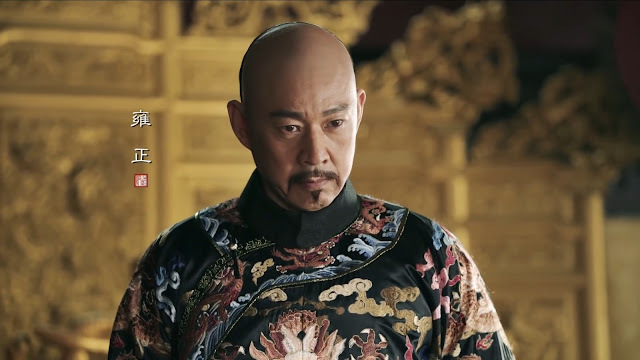 Yongzheng then goes straight to Hongli’s bride selection and upon finding out that his son has selected Qing Yin to be his official wife, Yongzheng tells him that his decision cannot stand because of the crime committed by the Empress. Imperial Consort Xi presents a calm demeanor at the news, but you can tell she is silently rejoicing. Hongli tries to defend Qing Yin to Yongzheng, but to no avail. Qing Yin realizes there is no changing the Emperor’s mind. With grace and maturity, she returns the ruyi to Hongli and steps down from being Hongli’s official wife. Hongli refuses to give up easily, and goes to ask the Emperor to change his mind. 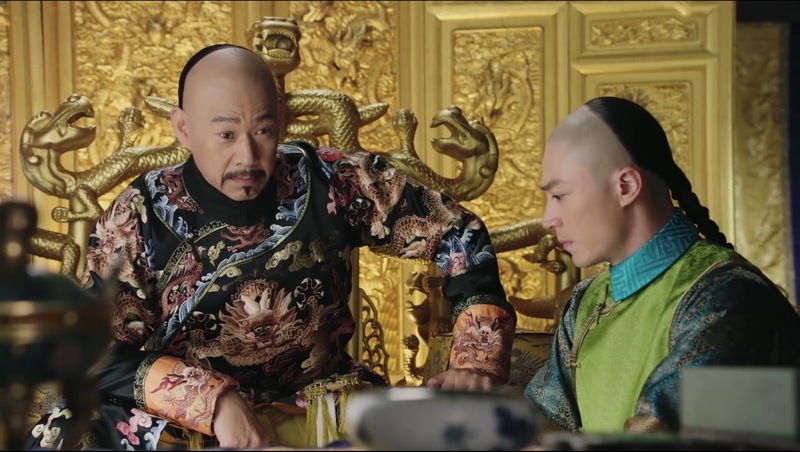 The Emperor tells Hongli that he needs to think about the big picture, about what is best for the Qing dynasty. This includes selecting the right woman to be his official wife. 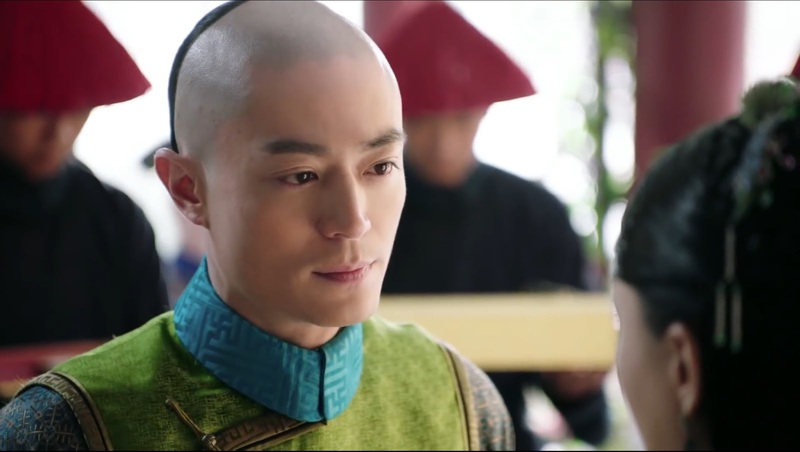 The Emperor’s words sink in and Hongli tells his father that he now realizes that selecting Lady Fucha as his official wife is the most appropriate choice. 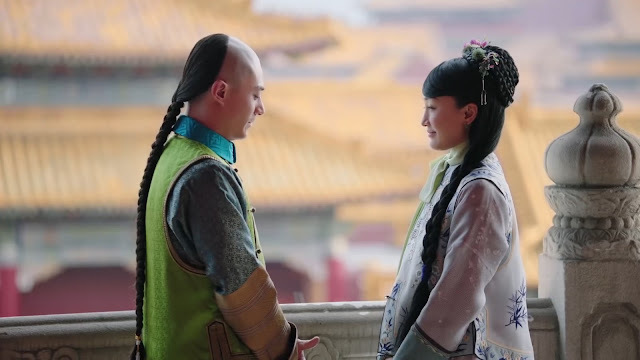 However, he still persists to have Qing Yin by his side, and the Emperor agrees for her to be his secondary wife, and he is to take Lady Gao (Tong Yao) as his wife as well. Yongzheng also appoints Hongli to be Prince Bao of the First Rank. Imperial Consort Xi cannot help but visit the Empress during her confinement to rub in how far she’s fallen. Just as she thinks she’s won, news arrives that the Emperor has agreed for Qing Yin to be Hongli’s secondary wife. 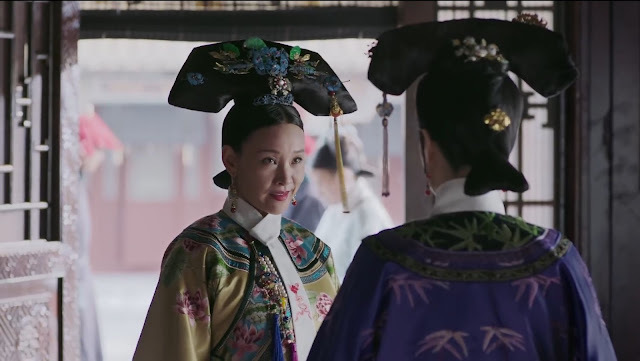 How quickly the tide turns, as the Empress now shows off that although Qing Yin is a secondary wife in name, she is the one Hongli wants to marry the most. Qing Yin is now the Ulanara clan’s main hope, as the clan’s power and influence comes from the Inner Palace. Unlike other families, Ulanara does not have ministers at court. 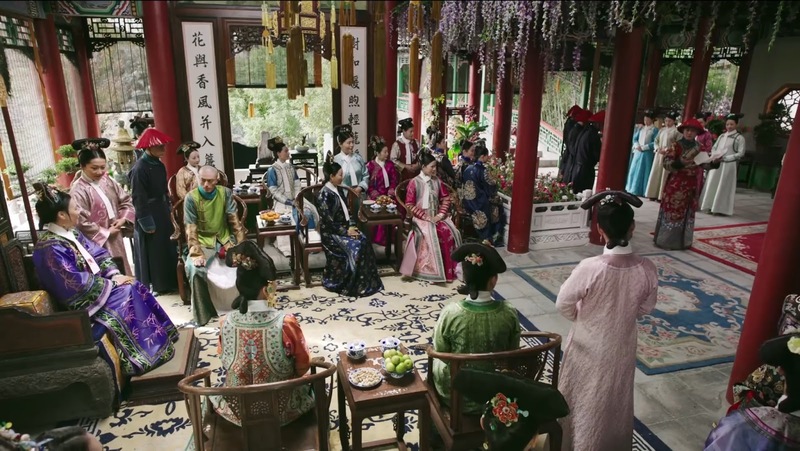 The news that Yongzheng has agreed for Qing Yin to be Hongli's secondary wife reaches her family as well, just as Qing Yin's parents are concerned about what will happen to her. Qing Yin and Lady Gao are to marry Hongli the day after he marries Lady Fucha. The next time Hongli and Qing Yin meet, Hongli promises her that he will always do his best to protect her. For any obstacles that take place in the future, they will face them together. Aww. Qing Yin promises to always stand by him as well. 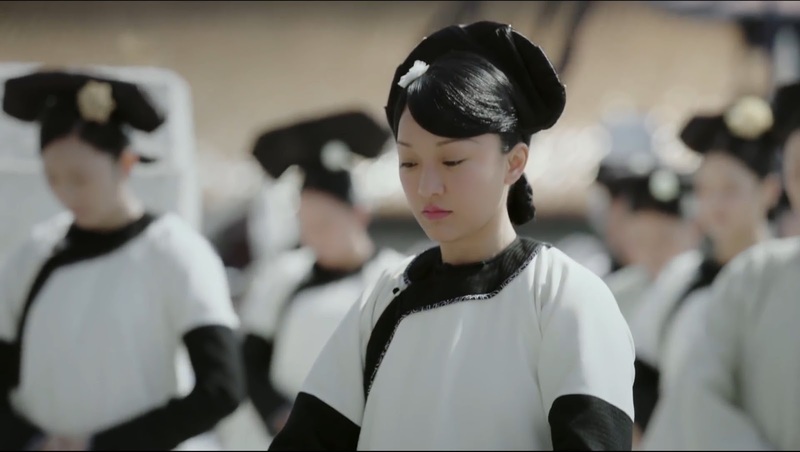 When Qing Yin and Lady Gao marry Hongli, Lady Fucha gifts each of them a bracelet and says that she hopes for them all to be good sisters going forward. On their wedding night, Hongli goes to see Qing Yin and tells her that even though he’ll treat his other wives with respect, she’s the one that he wants. 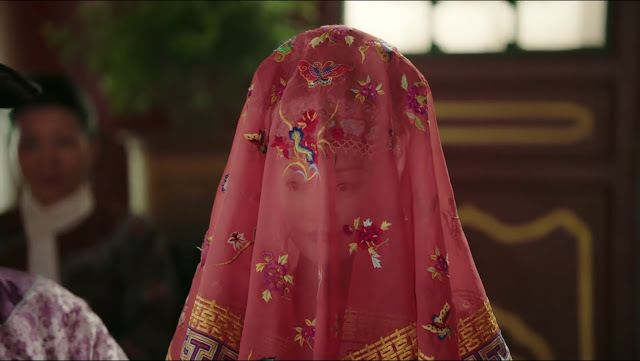 Left alone on what is her wedding night too, Lady Gao learns that Hongli and Lady Fucha did not consummate their marriage the previous night, and considers aligning with Lady Fucha. 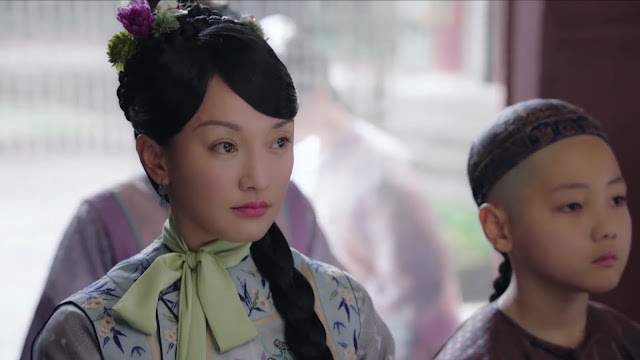 Lady Fucha vows to do well as Hongli’s official wife, so Hongli will find no faults on her. The timeline moves forward six years, and we see that Hongli now has children and has taken on additional consorts and concubines. With her father being an important official at court, Lady Gao has also been promoted to wife. Sad news arrives that Yongzheng Emperor has passed away, sending the entire court into mourning. With Yongzheng’s death, Hongli ascends to the throne as the Qianlong Emperor. 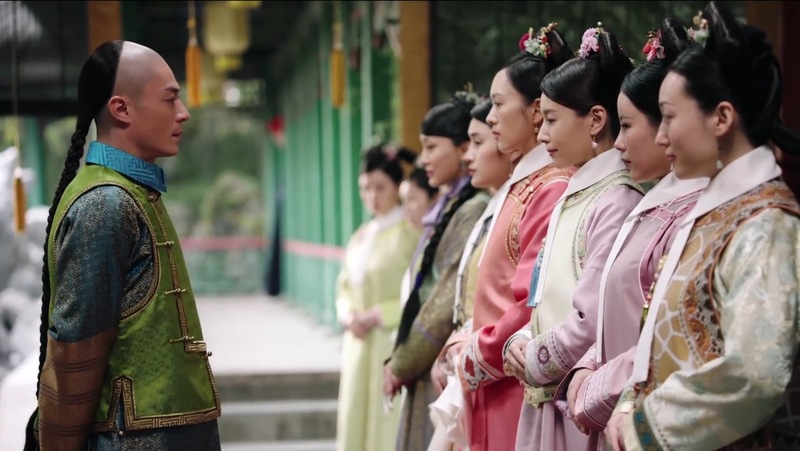 As Qianlong begins to take over official matters, one of his first decisions is what to do with Yongzheng’s Empress, who has been imprisoned in Jing Ren Palace all these years. One of the court officials, Zhang Ting Yu, recommends that since Yongzheng never revoked the Empress’ title, she be given the prestigious title of Dowager Mother Empress. This is in accordance with the rules and traditions of the palace, but obviously Qianlong’s mother, now the Dowager Empress, will strongly oppose the idea. Qianlong struggles over this decision as Yongzheng had proclaimed that he and the Empress are not to meet again in life or in death; however, if he restores the Empress’ position and gives her a title, Qing Yin will have someone powerful behind her. 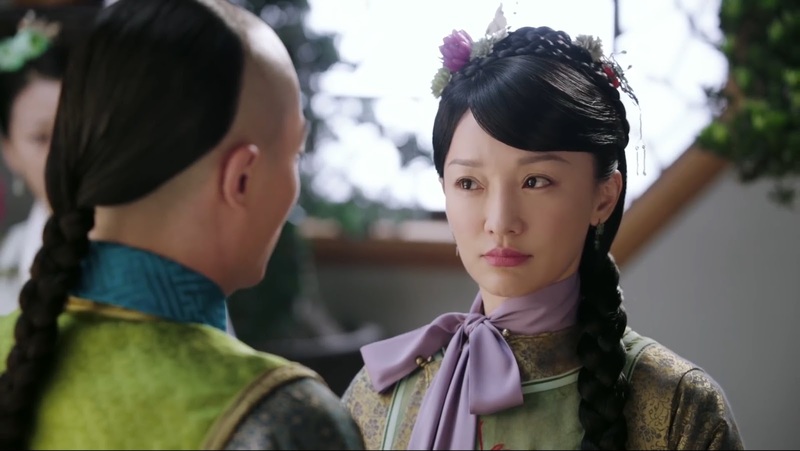 Qing Yin comforts Qianlong and tells him that she doesn’t wish for him to agonize over his decision. 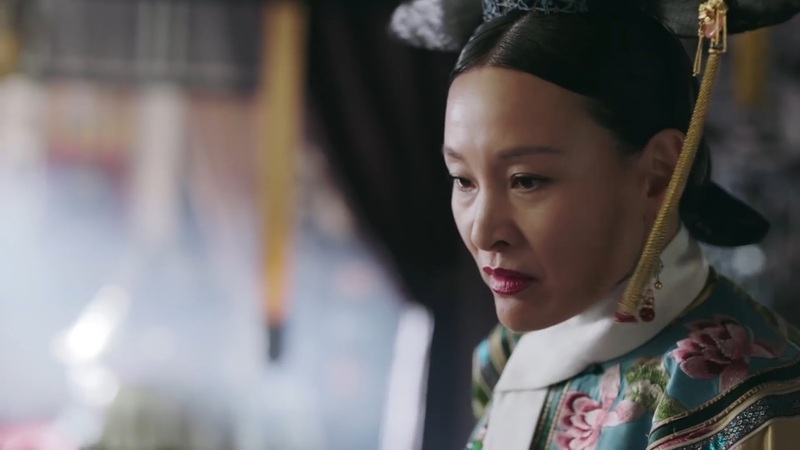 As expected the Dowager Empress is very upset at the suggestion that the Empress may be titled Dowager Mother Empress, but she decides to wait and see what Qianlong will do. Finding an easier target, the Dowager Empress takes her frustration out on Qing Yin. During Yongzheng’s mourning period, Qianlong’s wives and concubines make a tableful of dishes for her to partake. Qing Yin offers the Dowager Empress a chicken and ham soup she made, only to be criticized and belittled in front of everyone. The Dowager Empress has Qing Yin hold on to the bowl of hot soup, damaging her hands, for a very long time while she purposely favors Lady Fucha and eats the soup she has made. It isn’t long before the news of what transpired reaches the Emperor. 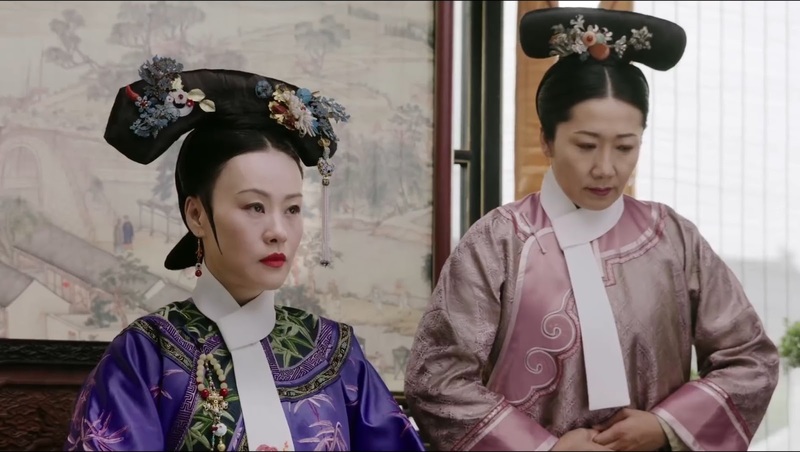 When Qing Yin goes to see her aunt, the Empress tells her that all she wants is to be buried in the same tomb with Yongzheng upon her death, which is only possible if she is given the Dowager Mother Empress title. 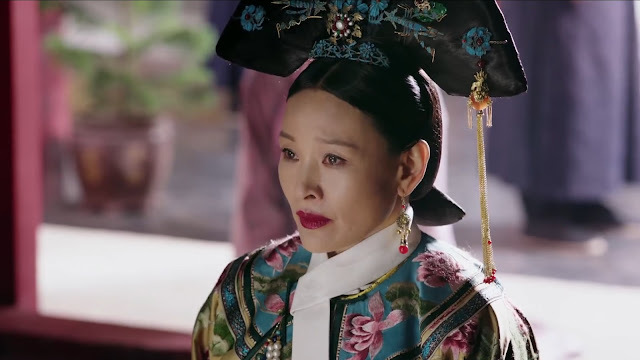 When Qing Yin goes to see the Emperor that evening, she suggests that he send the Empress to live in another palace without a title, as a middle ground that will please everyone. She says that this decision would be the best one to avoid conflict in the Inner Palace, and she doesn’t want the Emperor to be troubled by these kind of matters. Qing Yin is really a strong, considerate woman. The Dowager Empress is furious when she hears the news and decides to take matters into her own hands. She calls for Qing Yin to come and see her, and the Dowager Empress makes it clear that she is not happy with the arrangements. She says that her and her aunt cannot both survive, and gives her a choice. 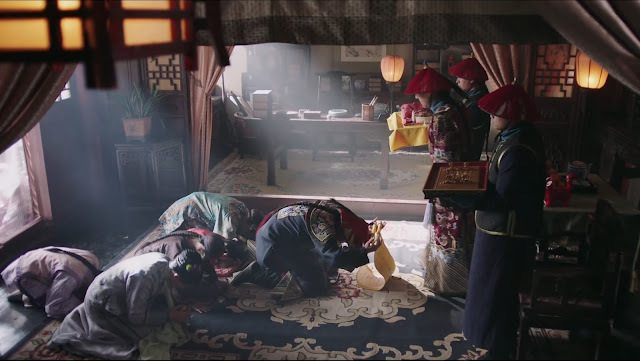 If she wants her aunt to live, the Dowager Empress implies that Qing Yin commit suicide via poison. 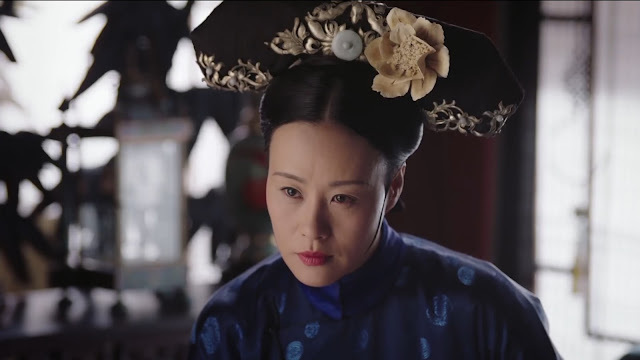 Qing Yin knows that nothing will change the Dowager Empress’ mind, and doesn’t even try to beg for her life. Instead, she asks that if she does as the Dowager Empress wishes, whether her aunt’s wish to be buried with Yongzheng will come true. The Dowager Empress agrees as long as the Empress does not create any trouble in the future. When Qing Yin goes to see Qianlong, she tells him that in the future, even if she can’t be with him, she will always want for him to have good health and for everything to go smoothly for him. Qianlong asks Qing Yin what is going on with her, and pulls her into a tight hug. 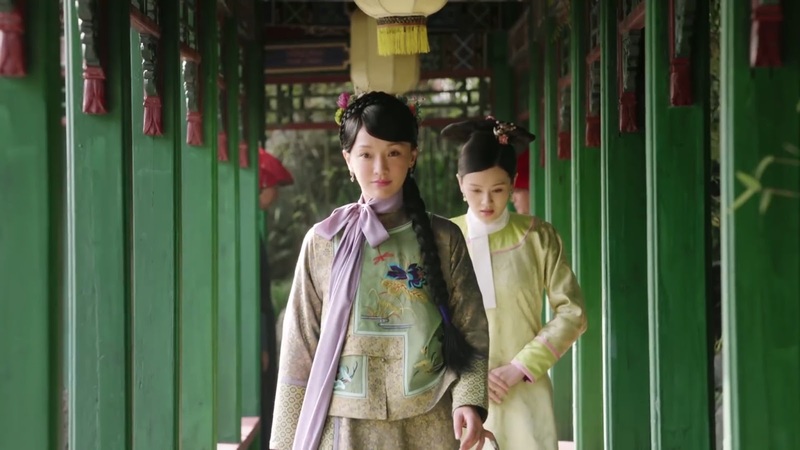 That evening, Qing Yin goes to see her aunt at Jing Ren Palace. Her actions and words show that she has decided to commit suicide so her aunt can continue on living. I get kind of tired of explaining how I disagree why everyone sees Ying Luo disrespectful in Legend of Yanxi palace because she'd been very polite, always careful with words to call out names i.e. "huang hou niang niang" and "huang shang" etc... for a few seconds before even speaking. She pretty much asked for their permissions to speak. She always refer herself as "nu cai". She bows all the way to the ground and always follow the rules. The impolite and rude ones are like some other maids, Huo Puo for an example. And even Ming Yu when she throws tantrum. But Ying Luo has always been very polite, she was only daring when she knows she can do it and won't get in trouble. Or, if she has a purpose to fulfill and needs to take that risk. I read many comments that made me feel like people are rather watching when the main characters shut their mouths and do nothing? I get cringy angry when characters do that bc they know the truth and just never do anything...and their reason is always that they still need to go do some planning first but then they never bring back up any of those old issues later on anymore... So for YXGL show, I really enjoyed how Ying Luo never let anybody off the hook right there and then. 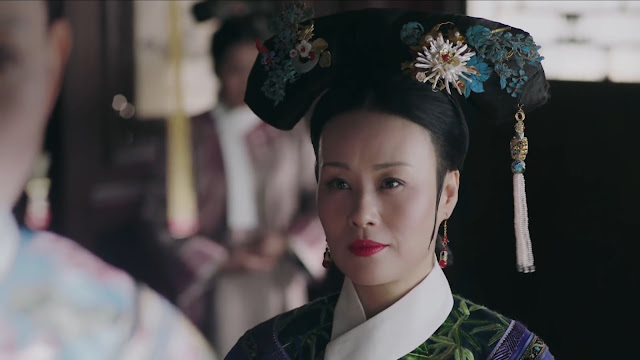 I think with ruyi and the emperor they like each other since young and was trying to make her as first wife, but his father move the title to the current empress(lady fuca)and he beg to take her as a wife. The father talk about power and not soft heart that why the emperor is like this.